Sunrise Phi Phi Maya Bamboo island. This is one of our amazing sunrise trips to Phi Phi Maya Bamboo islands. This is a premium speedboat trip and is very well organized. 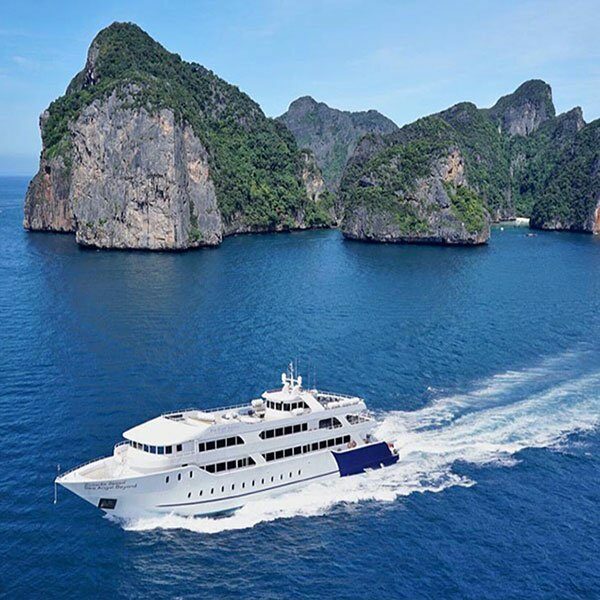 Phi Phi Maya & Bamboo island can get really crowded during the day and the normal operating times with the other tour companies. It can get a bit too busy. So these sunrise trips offer the option for those who don’t mind waking up for an early start to the day and you arrive at Phi Phi island, Maya and Bamboo island before most of the other tourists get there during the day and it is a much more pleasant experience, sometimes it seems like you have the place almost to yourself. Your day begins nice and early and you get to the pier to check in, have a really nice breakfast and then you can choose your snorkeling equipment (mask, snorkel and fins) and make sure that it all fits you before you go. 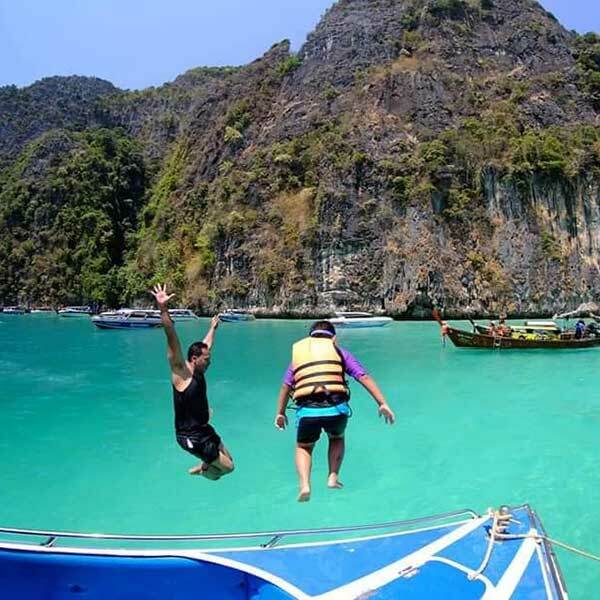 The Thai National Parks have decided from 2018 to close Maya Bays The Beach, so no tourists can go there from June to October every year, they do the same with the Similan islands, in an effort to help nature recover from tourism. The operators will take you to some other amazing locations during this time, please ask us for more information.